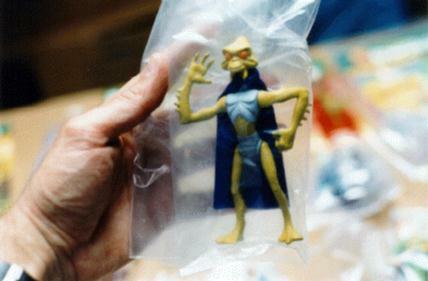 Here's another hardcopy, Droids prototype figure complete with cloth cape. One of these figures was a giveaway last year by Action Figure Digest magazine. Coins for this guy have shown up for sale on the secondary market and proof cards were also printed. The original artwork better shows this deadly alien.